Although it has been several weeks since my BlogTour trip to London, there just hasn’t been enough time to cover all that we saw. I will be moving on here, but would feel totally remiss if I didn’t share with you at least some of the fabulous finds from the grande dame of the shows, Decorex. I’m afraid this will have to be a bit of a whirlwind tour without the normal back stories but I hope you will enjoy the view nonetheless. With the theme of “Cherished Places”, the show included a show stopping entrance by Nicky Haslam and creative director Colette van den Thillart of NH Design. 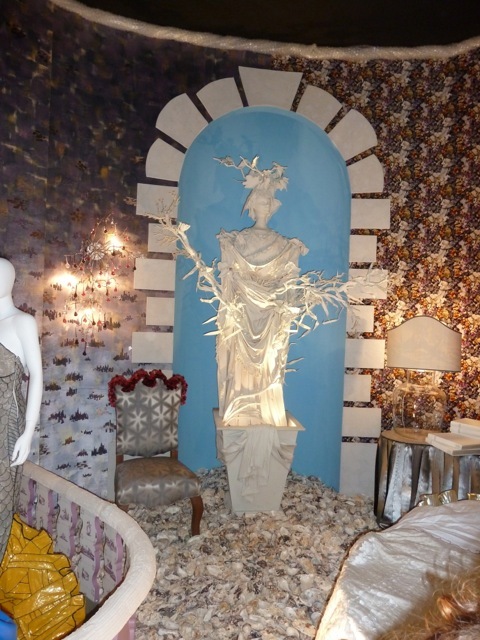 Inspired by images of grottoes, this surreal underwater vision combined decor, fashion and fantasy. After the show, we had the opportunity to meet Nicky in person and chat with him about design and life! Let me just say that he is every bit as charming and entertaining as you would expect – the perfect mix of talent, dashing bon vivant and a bit of bad boy – a lethal combo in my book! Next stop was the lovely champagne bar designed by Martin Hulbert with associate Jay Grierson. A marvelous way to start our day, the space also proved to be a welcoming respite for weary visitors. The space was a glamorous yet comfortable combination of old and new – sparkling mirror and glass with rustic woods and charming prints from Tissus d’Helene. One of my favorite new fabric lines was Rapture & Wright. A small British company, their handprinted fabrics and wallpapers have a distinctive graphic appeal. 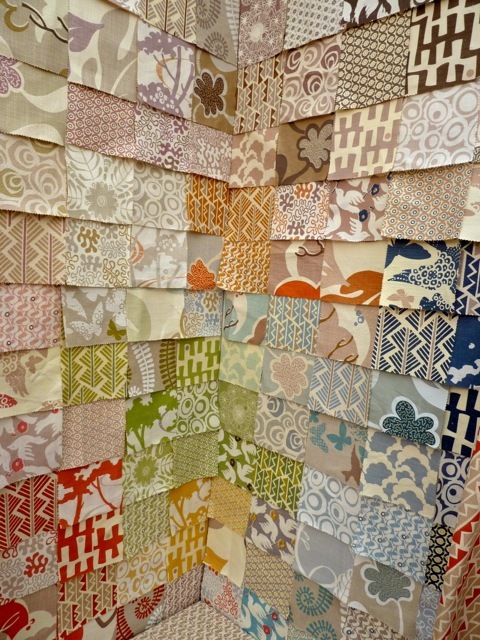 Although I had seen the beautiful fabrics from de Le Cuona before, stopping by their booth was still a must. 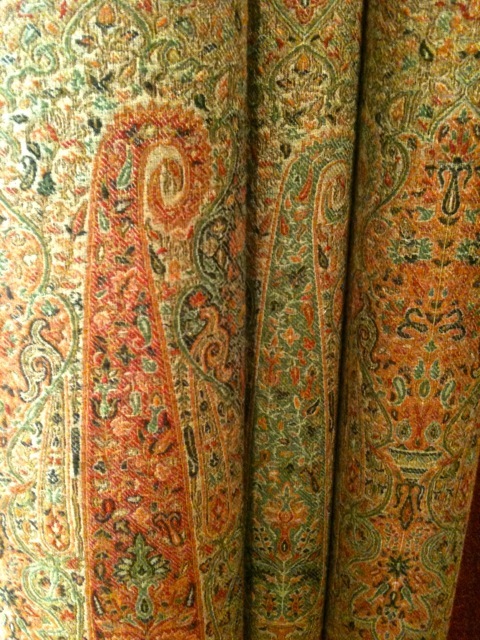 I would love to find a way to incorporate these beautiful paisleys into my home – I think I need another room!! 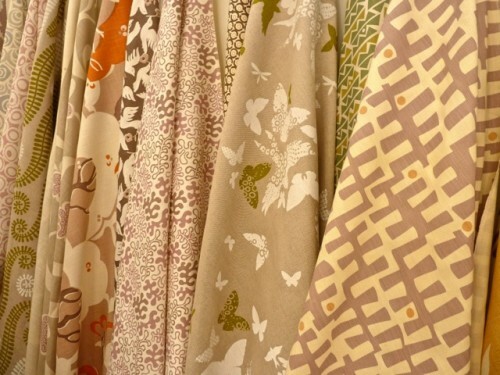 They have also recently expanded their range to include bespoke curtains, paints and a small furniture collection. 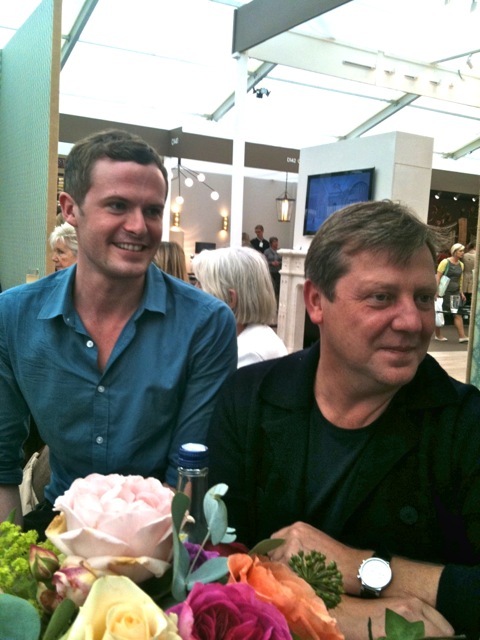 We will be winding up our London coverage tomorrow with more from Decorex. This entry posted in BlogTour, design, interior design, travel. 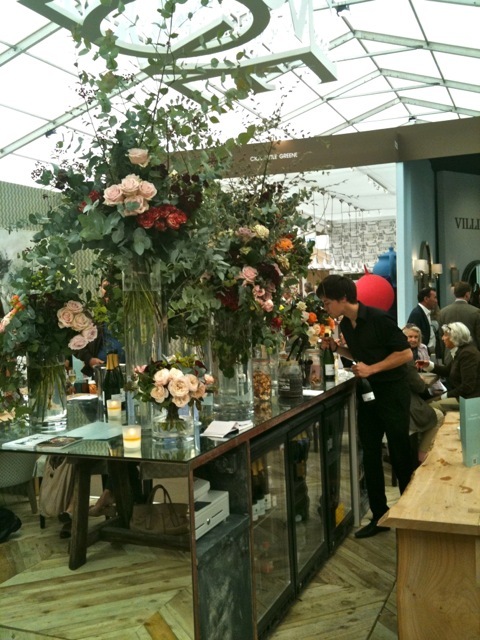 Entry Tags: BlogTour, BlogTour2011, Decorex, Martin Hulbert, NH Design, Nicky Haslam Bookmark the permalink. Thank goodness you kept up the London chapter for this! So much to respond to and I can only imagine what a treat it was to meet Nicky Haslam. 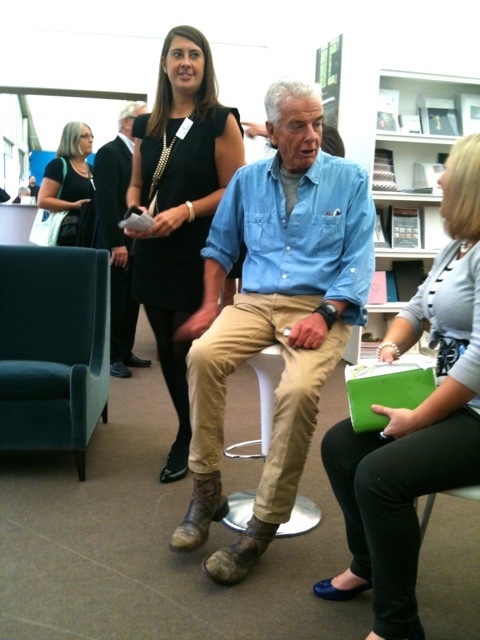 It seems as though he is not backing down in his creativity–in his work or in his personal attire (I love his boots). Those paisleys are gorgeous–you have find space for them somewhere! Gorgeous fabrics! Love the first two so much. 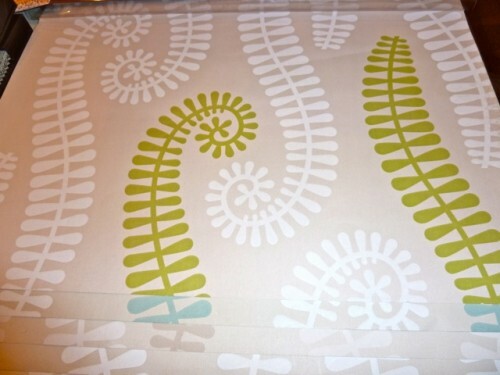 Ooooo I love the fabrics too! And I will forever be attracted to a man in boots like that!!! Love the fabric and the flowers, q. The Rapture & Wright fabrics are so ME. Love the graphic patterns. Sad that your tour posts will be ending.. I don’t know what I would have done in Nicky’s presence!! 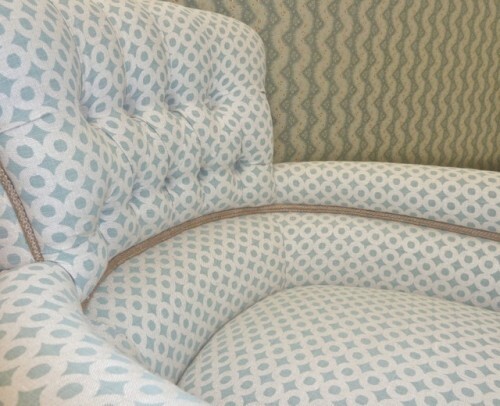 Love all the new finds you’ve introduced to us over the past weeks and these fabric lines are gorgeous. Will have to go over and take a look! I can’t believe you met Nicky Haslam, I am a big fan of his. 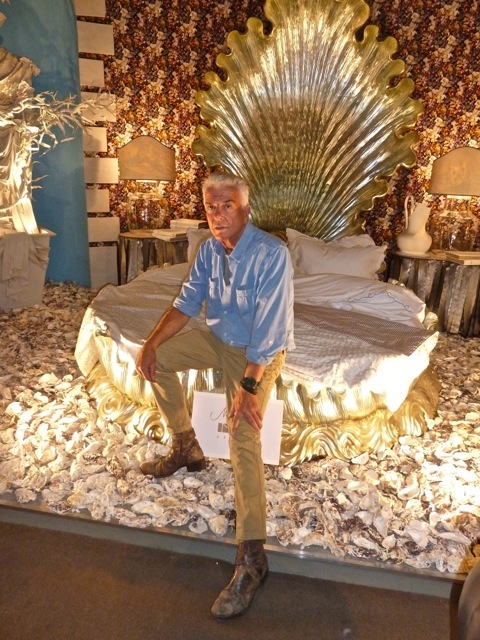 The grottos scenes are wonderful, I love all of the oyster shells! 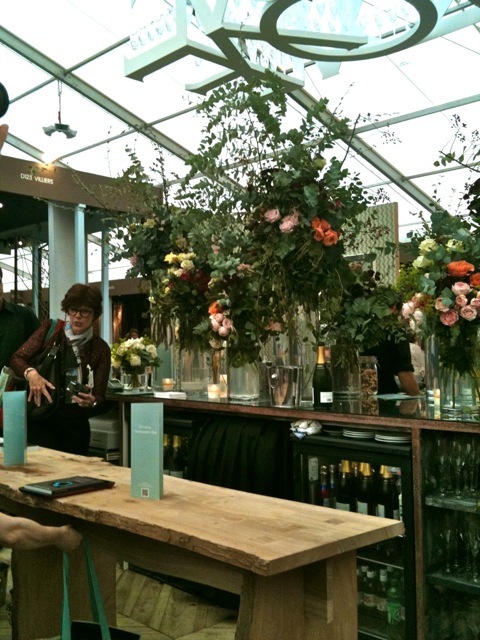 Those flowers on the champagne bar are beautiful, so natural, the clusters of pink roses in the greenery are really beautiful. Thank you for visiting the market, the Chocolate Covered Tarantulas are a great treat to make with kids of any age, I hope you try the recipe. You’ve been on college tours as well?? It would have been so fun to have met up. I guess I should get the word out in advance, it would be so fun to meet other bloggers while roaming. What a treat! Champagne and Nicky Haslam. Fabulous! It’s Like sleeping in the SEA !! !